carrots, red bell peppers, tomatoes, strawberries, zucchini, and a couple of perennial flowers that the gal who lived here previously planted last year. we also have some nice shrub/bush things and a plant that looks a bit like a hosta but isn’t. the zucchini is in the back and there simply isn’t enough sun; nothing seems to be happening with those. i also don’t have much hope for the strawberries, as it’s just not enough space. the carrots have sprouted but seem to be taking much longer to grow than they are supposed to. i think i waited too long to thin them, and still probably haven’t thinned them enough. i just can’t bear pulling out these plants i have miraculously grown! 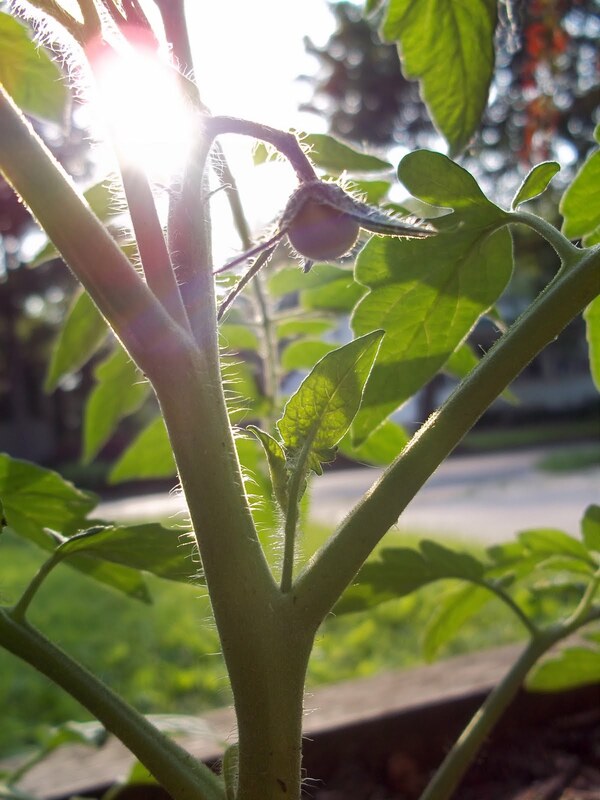 an eeny-weeny little itty bitty tomato is growing!!! yay!!! This entry was posted in Gardening and tagged gardening, tomato. Bookmark the permalink.